The VI Peel is composed of five rejuvenating acids: TCA, Retin-A, Salicylic Acid, Phenol, and Vitamin C. This unique treatment is designed to reverse the early signs of aging and sun damage with little downtime. In about a week, patients will see an improvement in the skin’s tone and texture. 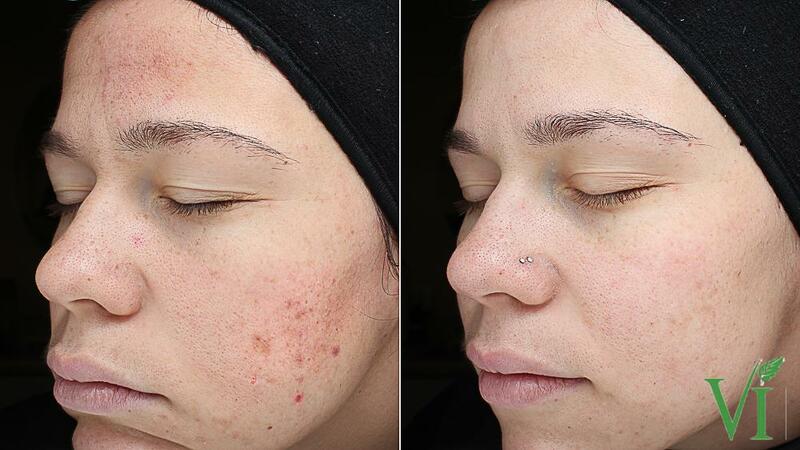 Large pores are reduced and areas of hyperpigmentation can be significantly decreased with the VI Peel. VI Peels are considered safe for all skin tones and ethnicities, making it a great choice for anyone looking to significantly improve their complexion. 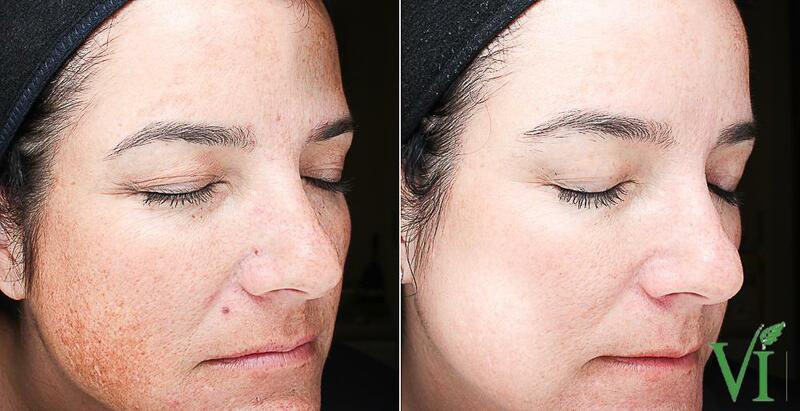 Both men and women, troubled by acne, scarring, fine lines, and sunspots, and melasma can benefit from this ‘medium depth peel’ Chemical Peel. The ideal candidate will be in generally good health and have reasonable expectations for the procedure. At the consultation appointment, your provider will decide if a VI Peel is the right technique to meet an individual’s aesthetic goals. Once the VI Peel has been applied by a provider, patients are free to return home. The peel will need to remain on the skin for at least four hours, at which time it can be washed off. Additional aftercare products, designed to enhance the peeling process, will be given to the patient. The provider will carefully review all of the at-home instructions before a VI Peel patient leaves the office. 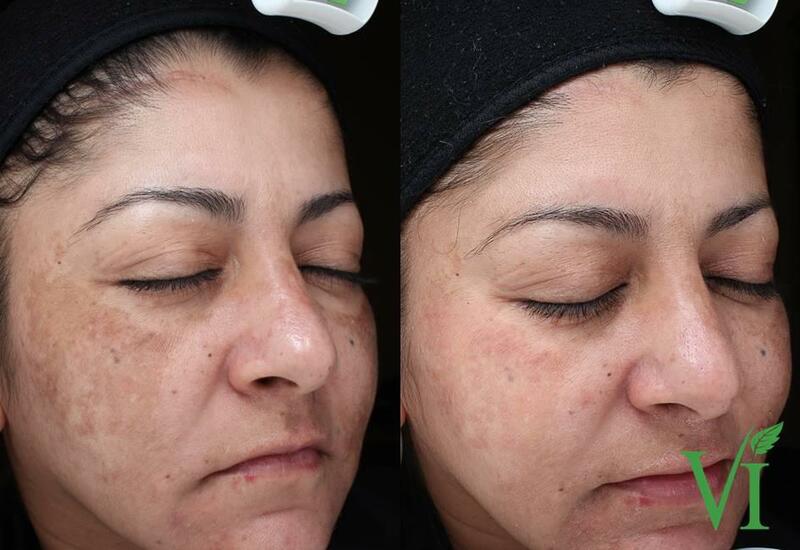 Initially, after patients wash the VI Peel from their face, the skin may appear red and mildly swollen. This is normal and will resolve over the first 24 hours. There is no required downtime after a VI Peel; patients are able to return to work, school, and most normal activities immediately. It is imperative that the VI Peel should remain on the face for a minimum of four hours. Vigorous exercise or strenuous activities should be avoided for the first 24-48 hours, as the resulting sweat could potentially alter the VI Peel’s results. Ageless Expressions MedSpa also carries a line of VI Derm Daily Skin Care System kits for protecting the investment you’ve made in your skin. They are available in the office, or we can also ship them to your home or office as well.